Prolific system & Technologies Private Limited, Pune. 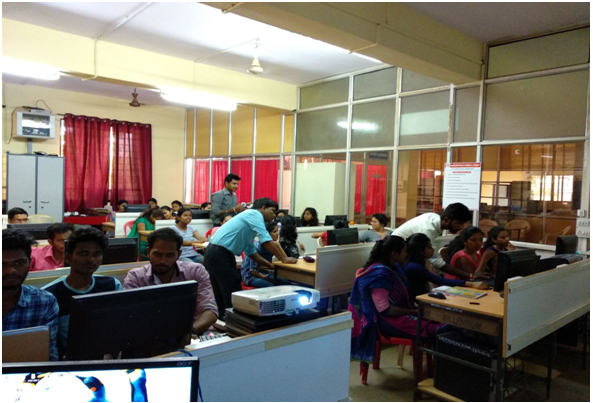 The four days intensive workshop on Internet of Things (IoT) conducted by Prolific system & Technologies Private Limited to involve students in a cohesive drive with the academia and industry towards excellence in Internet of Things (IoT) technology. This workshop is an attempt to cover material relevant to giving students necessary knowledge and skill set to appreciate the rapid changing scenario in Internet of Things (IoT) and take advantage of this in furthering their career. Practical/laboratory sessions are held, which will supplement the knowledge disseminated during the lecture sessions with adequate hands on experience. Workshop is instructor-led, lab-intensive courses focused on the practical application of technologies through the facilitation of a project- related lab. More than 80% time was utilized for laboratory session. It was four days workshop (From 25th to 28th March 2018). In these 4-days, student gained valuable hands-on experience. Totally 51 students of final year EXTC have attended this work shop. So here's an invitation ... if you have something to say, write it up and send it to me (revwik@uucharlottesville.org). It can be an essay, a poem, a homily, or something else. We do not, at present, have established guidelines and standards governing this blog, but they're coming. Until then -- and probably after then, too -- I reserve the right to make editorial suggestions for space, style, and -- in the rarest of occasions -- content.